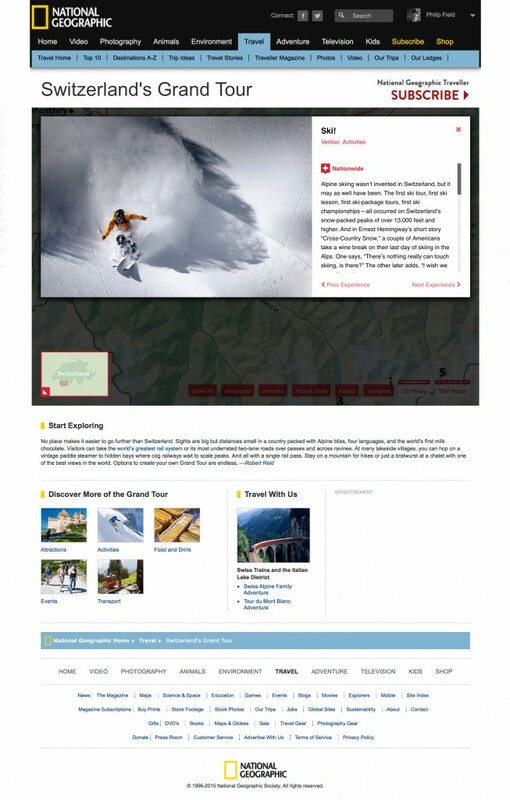 National Geographic have recently published an online article on the Grand Tours of Switzerland where they used my shot of Laurent Gauthier to promote skiing in Verbier – the shot was taken on my first time skiing the famous Bec des Rosses after covering the Freeride World Tour. To read the article see http://travel.nationalgeographic.com/travel/switzerland-grand-tour/. Verbier can be found on the map just under the words Lake Geneva. To see the specific image used, see my National Geographic Your Shot page. UPDATE (June 2018): If you’re looking for a fantastic guide on Switzerland, head over to Jen Reviews and check out their 100 Best Things to do in Switzerland article – it’s a superb and highly comprehensive article on all things Swiss.